As co-founder and director of ISIS (Institute of Science in Society), the UK-based organization focused on reclaiming science for the public good, Mae-Wan Ho, a geneticist, has for many years questioned the engineering of our food supply and addressed other biotechnology issues. She has also been one of neo-Darwinism's most effective critics. Oxford University physiologist Denis Noble has cited the early work of Mae-Wan Ho and physicist and theoretical biologist Peter Saunders as partly inspiring his much discussed paper on replacing neo-Darwinism published recently in the Journal of Experimental Biology. "In certain respects, my article reflects some of the points made over 30 years ago by Ho and Saunders (Ho and Saunders, 1979) who wrote: 'The intrinsic dynamical structure of the epigenetic system itself, in its interaction with the environment, is the source of non-random variations which direct evolutionary change, and that a proper study of evolution consists in the working out of the dynamics of the epigenetic system and its response to environmental stimuli as well as the mechanisms whereby novel developmental responses are canalized.' Their ideas also owe much to those of Conrad Waddington - the term 'canalized' is one that he often used." I decided to phone Ho and Saunders, who are married to each other. My interview with Mae-Wan Ho follows. Although Ho has not let up in her criticism of the Modern Synthesis, as our conversation reveals, she says evolutionary science has now "moved on to such an extent" that she and Peter Saunders don't really care anymore about "trying to convince the neo-Darwinists." Mae-Wan Ho's BSc in biology and chemistry (first class honors) and her PhD in biochemistry are from Hong Kong University. She was a postdoctoral fellow in biochemical genetics at the University of California, San Diego. In the 1970s, Ho was Senior Research Fellow at Queen Elizabeth College. She was then affiliated with Open University for almost 25 years, first as a lecturer in genetics and later as a reader in biology. She says she left Open University over issues related to her opposition to GMOs. Ho has most recently been Visiting Professor in biophysics at Catania University in Sicily. She is the author or co-author of a dozen books, best known among them: The Rainbow and the Worm: The Physics of Organisms, Genetic Engineering: Dream or Nightmare?, and Unraveling AIDS, as well as 200 scientific papers. Ho is also an inventor with two patents on polarized light microscopy and one on collagen ultrasound therapy (pending). And she is an artist (2003 Fellow, Royal Society of Arts Academic Appointments). 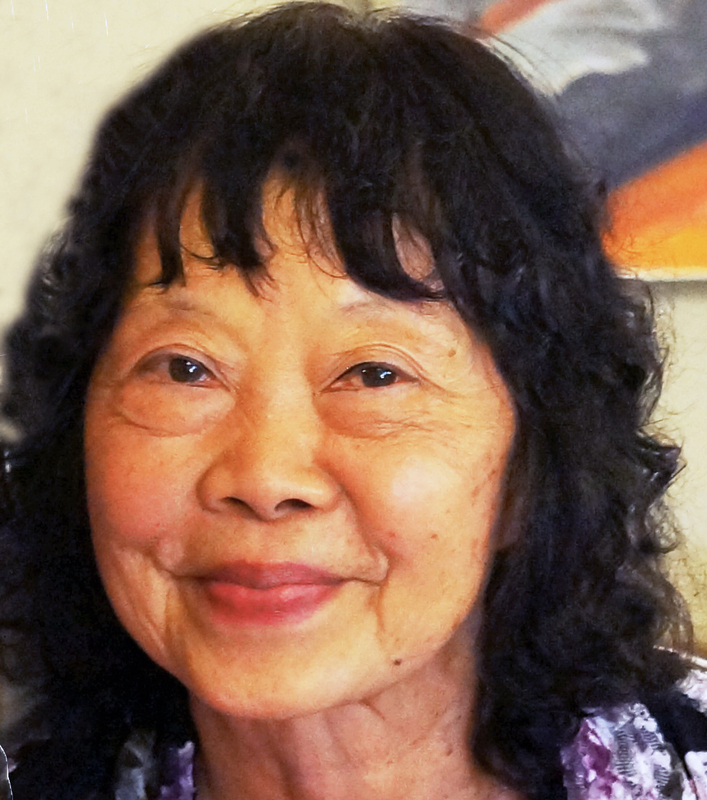 Among Mae-Wan Ho's many other honors, is the awarding of the Prigogine Medal to her in 2014. Suzan Mazur: Over the last few decades there have been several movements regarding deficiencies of the Modern Synthesis. "The Osaka Group" was one of them, "the Altenberg 16" another, and now "The Third Way of Evolution" -- otherwise known as "the Oxford 50." You were part of Osaka and now Oxford. Why not Altenberg? Were you invited to the 2008 Extended Evolutionary Synthesis symposium? Mae-Wan Ho: No, I wasn't. I'm not surprised I wasn't invited because I changed fields quite drastically beginning in 1988. By 1993, I published my book, The Rainbow and the Worm: The Physics of Organisms. In the book I made good my criticism of neo-Darwinists for ignoring physics, chemistry, math, physiology, etc., because they base everything on selective advantage, which is a completely empty explanation. Suzan Mazur: But I would think that would be a reason to invite you to Altenberg. The other thing is that there was only one other woman invited -- Eva Jablonka. One of the Altenberg scientists told me they could find not any more women who were willing to challenge the Modern Synthesis. Mae-Wan Ho: They couldn't find anybody?! Can't believe it! Suzan Mazur: Also Lynn Margulis did not participate. Mae-Wan Ho: Well, they didn't ask me. Suzan Mazur: The Third Way of Evolution is different from Altenberg in the sense that many scientists on the page are talking about replacing neo-Darwinism. Mae-Wan Ho: It was really in the 1970s when I started thinking about this with Peter Saunders. We began criticizing neo-Darwinism, and wrote a paper: "Beyond neo-Darwinism: The Epigenetic Approach to Evolution." That brought a lot of controversy. I was branded neo-Lamarckian, communist, Marxist, all sorts of things. People found us too radical. They retreated because we were already saying in that paper -- well, look, you might as well forget about natural selection because what does it mean "selection" when the organism keeps changing according to environmental conditions? We now know that at the molecular level that is precisely what happens. There are these epigenetic changes that respond to the environment. . . . I think the Modern Synthesis has got to be completely replaced, and unfortunately, those people who are very attached to neo-Darwinism won't look at the evidence. A lot of them don't know molecular genetics at all. Or like [Richard] Dawkins, they will say, I just don't believe it. They're not scientists. Denis Noble is very interesting because he's come to this, if I might say so, rather late. He's right and has got the zeal. People like Peter Saunders and I, who've been arguing about this since the 1970s, think things have moved on to such an extent in evolutionary science, and that the world beyond neo-Darwinism is so creative and beautiful, that we now don't really care about trying to convince the neo-Darwinists. Suzan Mazur: Doesn't epigenetics throw into question just how vertical the transfer of information is? Mae-Wan Ho: Yes, exactly. We know, for instance, when we eat food nucleic acids can get into our cells. Also, there is a theory that our cells in the body keep sending out nucleic acids and one theory has it that it seems to correct the mistakes that other cells have suffered from mutations. . . .
Suzan Mazur: You've written that it does get into the germline. Mae-Wan Ho: Yes. This is why the whole genome is a more radical concept than just epigenetics because there is no boundary really between the genetic and epigenetic . Suzan Mazur: How does the current attention to viruses and viroids throw a further wrench into the Modern Synthesis? Mae-Wan Ho: A long time ago Howard Temin already proposed that the viruses -- our genomes are full of viruses -- so there's a theory that they are remnants of past infections, etc. The other theory that Howard Temin has is -- well maybe they actually had functions in cells. And maybe viruses were like the transposons that escaped. Suzan Mazur: There's a debate about whether viruses are alive or not. What position do you take? Suzan Mazur: Viruses are sort of swimming in around the RNA and DNA. Mae-Wan Ho: This is what Howard Temin was saying that they may be like transposons, transposable elements. Mae-Wan Ho: I've written a paper called "The New Genetics and Natural versus Artificial Genetic Modification." The thing is, if you look at an ordinary organism, our cells actually make their genome quite stable and they divide or not, as needed. They don't actually multiply out of control. So cancer is a disease of communication. When the organism loses its coherence, then you get cancer. 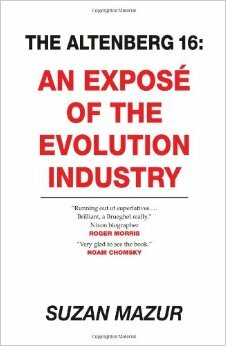 Harry Rubin's work on this is especially interesting. He discovered that if you take the cells out of the body and grow them in culture, then they mutate all over the place. Their genomes are not stable. You need a holistic integrity to keep genomes stable. Otherwise, they aren't. For instance, if you take stem cells or cells in culture -- you're very careful to clone them, etc. -- but as soon as you put them in culture you get chromosomal abnormalities, mutants. Suzan Mazur: It's the organism as a whole that's keeping them stable. Mae-Wan Ho: It's the whole system. It's almost like a field, a field that keeps both the field and the shape of the organism intact. People have called it by different names. Developmental biologists have long referred to it as a morphogenetic field. It's a holistic influence. I won't go into the biophysics of it, but it can be thought of as a causal field. This is why neo-Darwinism cannot be enough, it cannot explain such things. Suzan Mazur: What is the danger of not replacing the gene-centered Modern Synthesis? Mae-Wan Ho: The people who suffer most are the young people because they are bored out of their minds in today's laboratories. There is no inspiration with neo-Darwinism, it dulls the mind. I don't know what universities are like in the US now, probably they have improved. But I stay away from universities because I find them so decadent and dispirited. Suzan Mazur: They've become business and banking centers. Obsessed with expansion and real estate. But what about the misunderstanding of how evolution works, that it's gene-centered. Is this part of the reason why drugs to treat one problem can result in 25 side effects? Mae-Wan Ho: Absolutely, yes. I think we have a completely obsolete medical system. It's committed to this gene-centered approach. A lot of money has been spent on sequencing genomes, etc. They really have got to keep the myth going. They've got to say, well we're going to find the genes that make you ill or predispose you to all kinds of illnesses. But they never can find them. This just goes on and on. I don't know if you've noticed but at first it was genomics and then transcriptomics, proteomics, epigenomics, etc. Because they don't know what else to do. It's really mind-numbing. With cancer, for example, they keep sticking to this idea that it's caused by gene mutations. Again, they're chasing their own tail. That's why we have such a horrible medical system. The best thing to do is to avoid it. Suzan Mazur: What do you see as a replacement for the Modern Synthesis? Mae-Wan Ho: The physics of organisms. But I wouldn't claim that it's the only theory around. Once you free yourself from the manacles of this -- it's like somebody put iron bands around your mind. You can't think anymore. Once you free yourself, nature invites us to look at her as creatively as possible. It's not a single theory that's going to replace neo-Darwinism. Neo-Darwinism just needs to be left behind so that the universe of learning, of finding out about nature, opens up properly. Suzan Mazur: You and Lynn Margulis found substantial recognition in science, even though science is still very heavily dominated by men. You were honored with the 2014 Prigogine Medal, for example. Congratulations. Suzan Mazur: Lynn Margulis received the US Presidential Medal for Science. How serious is the sexism problem for women in science now on a scale of 1 to 10? Mae-Wan Ho: It is still quite a serious problem, but it doesn't bother me mainly because I'm a happy, optimistic person by nature. When I was first moving into physics, for example, the world was divided in two. There were physicists who would talk to me and there were physicists who would not talk to me, who didn't want to take me seriously. Fortunately for me, the ones worth talking to were the ones who talked to me. Suzan Mazur: Lynn Margulis took her science to the public, where she was greatly appreciated. To what do you attribute your visibility? Mae-Wan Ho: I also went to the people but I didn't exactly write a popular book. I wouldn't say The Rainbow and the Worm: The Physics of Organisms is a popular book. It's a book I was inspired to write and it is popular with both non-scientists as well as scientists, dancers, people who are into complementary medicine, etc. They love the book. They all feel they get something from the book even though they may not understand it all. . . .
Suzan Mazur: Do you have a definition for life? Mae-Wan Ho: I would define it as a quantum coherent system. It is a circular thermodynamic system that can reproduce. 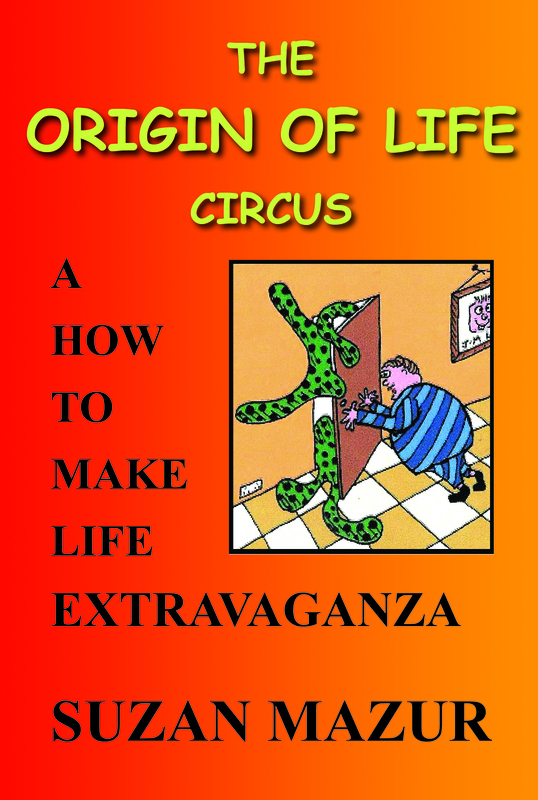 Suzan Mazur: How do you think about origin of life? 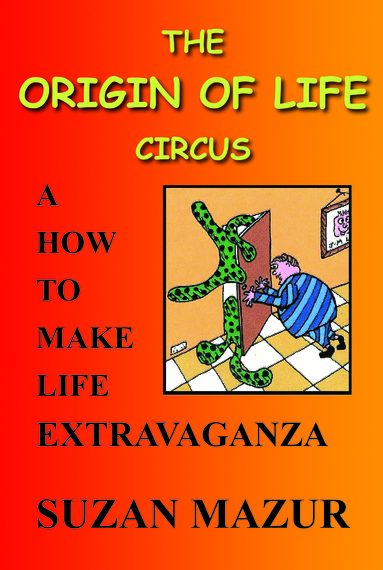 Mae-Wan Ho: I think there was an origin of life. If you look at water, which has been the subject of my research for a number of years -- the physics of life depends on water in a very fundamental way. Water has all the characteristics of consciousness. It's very sensitive, it's flexible. It responds to light. Electromagnetic fields, etc. Suzan Mazur: Have you commented about electrons and consciousness? Mae-Wan Ho: It was Alfred North Whitehead's idea that electrons had consciousness. Whitehead, to me, was a really important philosopher. He was also a mathematician. He had the idea that you cannot really understand nature except as an organism and with the sensitivity of the organism. To Whitehead everything in nature was an organism to varying degrees, from electrons, fundamental particles to galaxies. It's a very beautiful idea actually.